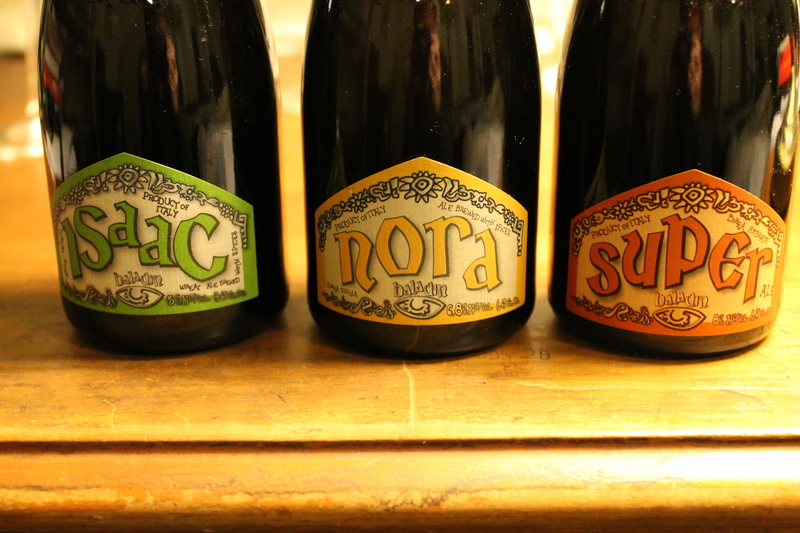 For a recent birthday celebration, Dillon and I opted for a tasting of craft beers from the Italian brewery Baladin. I’ve briefly written on Italian craft beer before, but it’s worth revisiting this important and rich subject. Of course, even ten years ago this would have been difficult, with the number of craft breweries in Italy increasing ten fold in the last five years alone. Most of these beers are not available in the US. One brewery which is available in the US, however — Baladin — is also one of the first and most important. Founded in 1986, Baladin is the child of Teo Musso, son of a winemaker in Piemonte, the Northwestern Italian region famous for Barolo. Though he initially opened a beer shop/pub, Teo has been brewing artisanal beers of high quality since 1996. The name Baladin is a French word for a circus or street performer, given to Teo by a French friend trying to encapsulate Teo’s nature. Indeed, Teo seems a bit of a madman at times, but his vision is compelling. His beers are mostly made in traditional styles but with character that reflects their Italian origin and Teo’s own personality. You can watch some videos on Teo and his beers, with at least partial subtitles, here. In our region of Northeastern Pennsylvania, some of Baladin’s beers are available at Sabatini’s in Exeter, near Pittston, which is remarkable since otherwise a drive to Philly or NYC would be required. Isaac is a white beer named in honor of Teo’s son, and one of the first beers he began producing. Isaac has the cloudy appearance typical of the style with aromatics of yeast, citrus, coriander, and orange. Teo recommends it as an aperitivo, with vegetable appetizers, or fish. Nora is an unusual beer, “egizia” or “Egyptian”, as Teo calls it. It is named for Teo’s wife. Brewed with the ancient grain kamut, the beer is an homage to Egyptians as some of the first brewers of beer. Accordingly, it is intended to evoke somewhat exotic and spiced aromas and flavors. In place of hops, one experiences ginger, orange, honey, and spices. Teo recommends cured meats, cheeses, artichokes, and asparagus as suitable pairings. Super is Teo’s take on a Belgian pale ale, though it clearly reflects Teo’s personality as much as that tradition. Also described as an “amber ale”, it evokes tropical fruit and marzipan. There is a clear almond aftertaste. 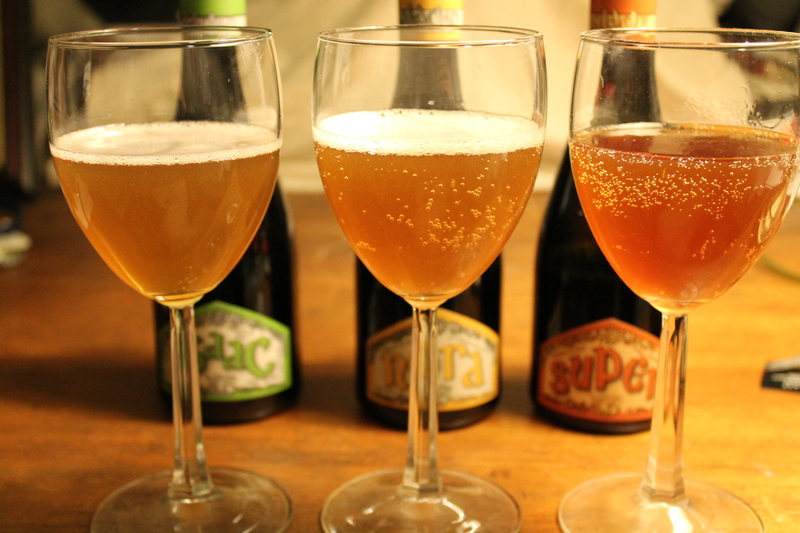 As Teo has described it, Super is “harmony turned into beer.” He recommends it with braised meats and cheeses. I am no expert on beer, Italian or otherwise, but I hope these brief notes may inspire anyone who can access these beers to try them. They are not cheap, but they are very interesting and distinctively Italian. Besides Sabatini’s in Exeter, one can find them at Whole Foods in Plymouth Meeting and Eataly in NYC. 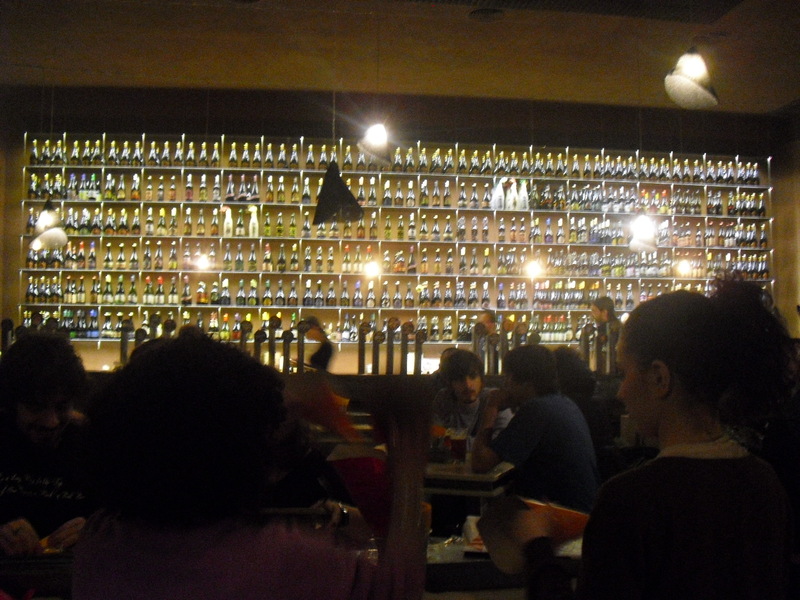 If one has the good fortune to find oneself in Rome, Open Baladin is a pub operated by the brewery which features not only the full line of Baladin beers but beers from other Italian micro-breweries as well. 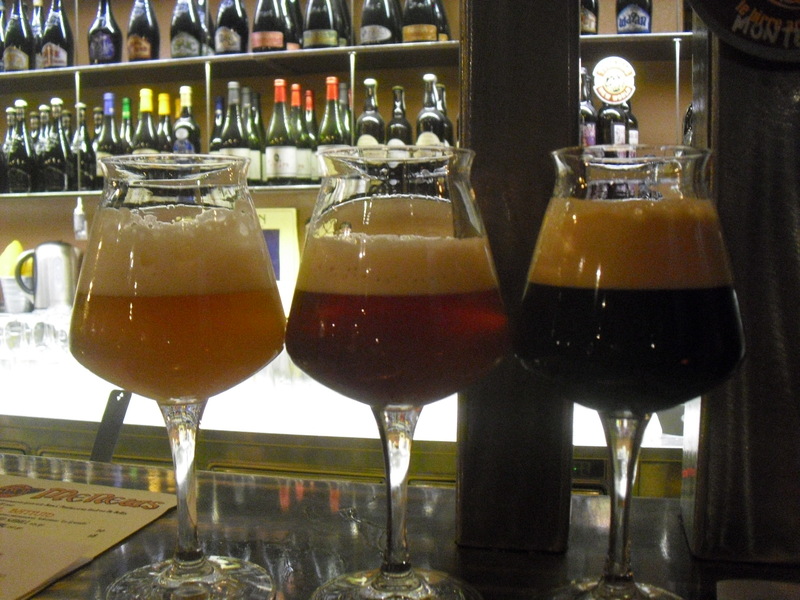 Having these beers on draft is even more interesting than the bottlings. 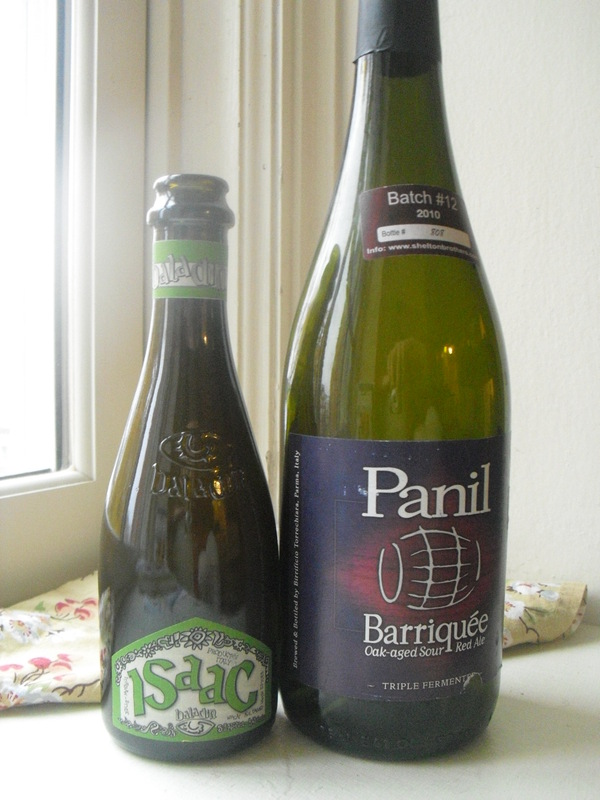 Among other things, the head on the draft versions is huge, whereas the head from the bottles dissipates rapidly. The food is an interesting, modestly successful take on American/British pub food. While in Rome, hire our friend Katie Parla to orient you to the food/beer/wine/culture of Rome. Cheers!